Here's something which looks like it came straight out of Star Wars: Episode II Attack of the Clones. However thankfully it has a far more benign purpose. 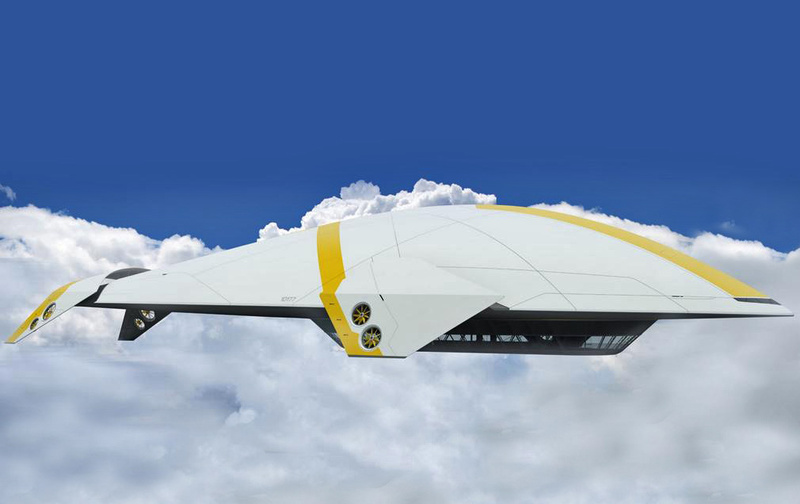 The Aether airship concept is a proposal for a large luxury airship which is more like an airborne cruise ship than an actual means of getting from A to B. 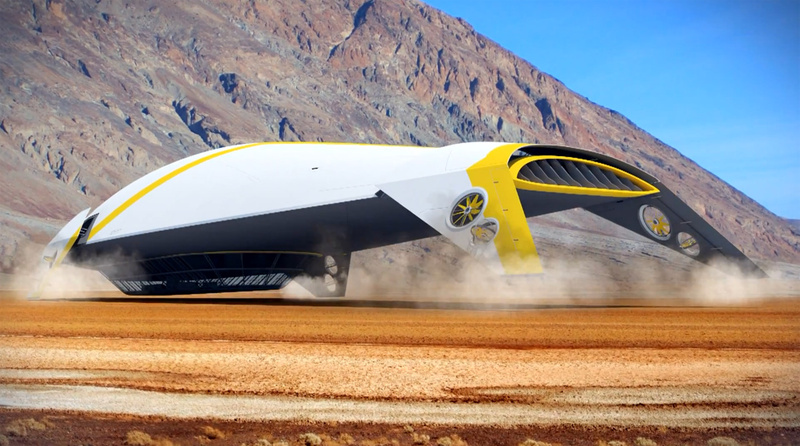 The Aether airship concept was created by designer Mac Byers as his final year project while studying Transport Design at Huddersfield University in England. 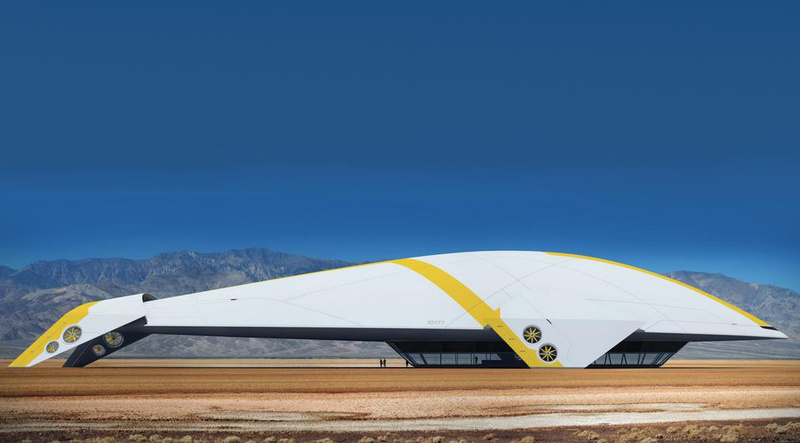 The concept, while extremely futuristic in its appearance, is actually based on technology being developed by the US company Aeroscraft. Coming back to that reference on Star Wars, Byers actually cites the vehicles from Star Wars as a source of inspiration, along with Thunderbird 2 and the space shuttle. 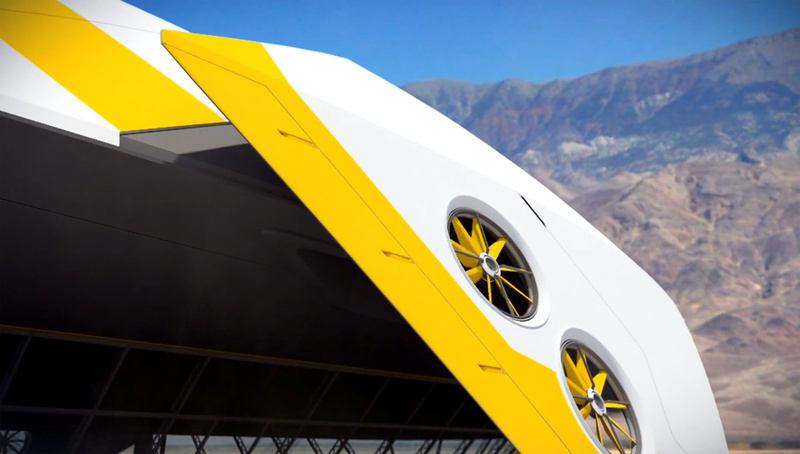 The bright colors of the Aether are designed to highlight the green credentials of the all-electric powered airship. Although I'm not entirely sure how 'green' a vehicle can be - even if it's electric powered - if it's sole use is for ferrying people around for pleasure. But that's besides the point. 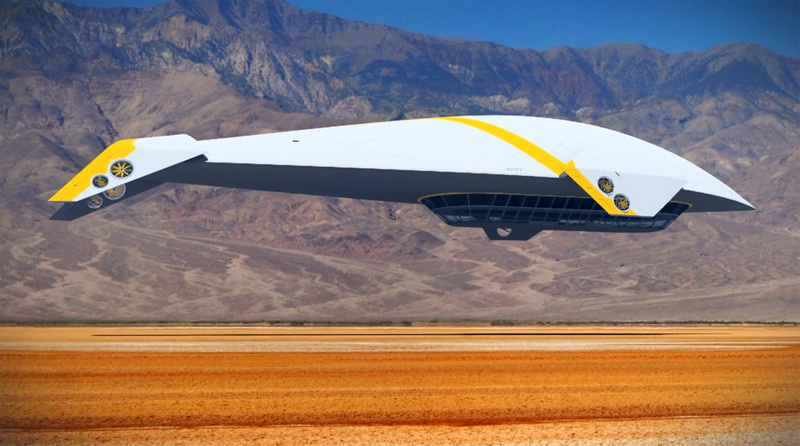 The principle behind the Aether airship concept is that the vehicle uses its large electric-powered fans to provide forward thrust, directional control, and also lift. 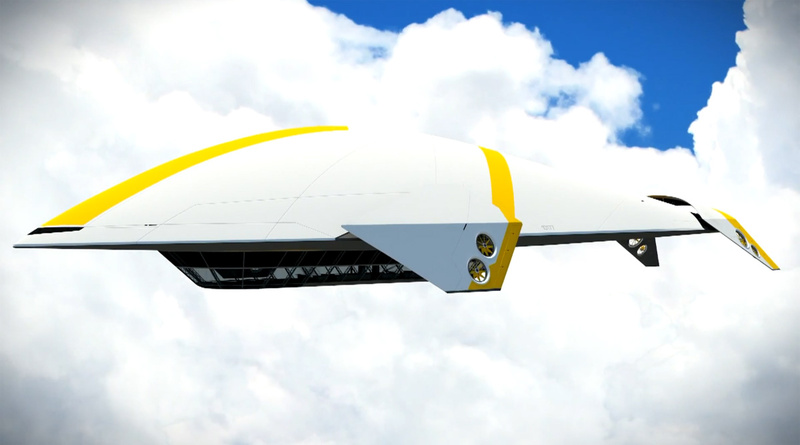 The helium-filled fuselage merely acts to offset the weight of the airship, allowing the propellers to move the Aether around and up into the air with minimal effort. The Aether also has an air ballast system which uses compressed air tanks to either increase or decrease the vessel's overall weight. The interior of the Aether airship concept is much like the exterior in that it is very futuristic. It�s bright open-plan interior incorporates a bar, dining area and lounge on the lower level. Breathtaking views of the ground below are made possible thanks to the floor-to-ceiling windows which are angled outward for better vision. On the upper level are the individual cabins for the passengers. The generous-sized rooms each have a double-bed, seating area, bathroom, large windows and storage spaces - not to mention enough floor space to host a five-a-side football match. While it's extremely unlikely the Aether itself will ever get built. The idea is sound. And in a world where space tourism is now a reality, the idea of a flying luxury cruise ship really isn't that crazy. Hell they were doing it back in the '30s. It was only because of the Hindenburg tragedy that the golden age of the airship as a means of luxury travel came to an end. It's high time it made a return I say... Minus the hydrogen.